What is the Paasikivi Society? The Paasikivi Societies operating in different parts of Finland specialise in arranging events where Finnish and foreign speakers can freely address issues of international and foreign policy. These speakers are often influential figures in society, researchers, journalists and other experts with whom members of the audience are invited to discuss topical international issues. The Paasikivi Society was founded in Helsinki in 1958, its aim being at that time to strenghten and stabilise Finland’s official foreign policy among the nation at large. It also undertook the task of making Finland’s foreign policy known abroad. 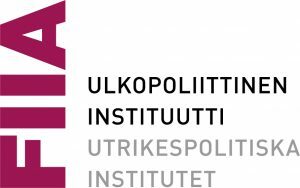 The institute of International Affairs and a journal called Ulkopolitiikka (The Finnish Journal of Foreign Policy) were established on the Society’s initiative. The first provincial societies, in Tampere and Lahti, date from 1962 and today there are 23 in all. The Paasikivi Societies are independent associations governed by a Committee or Board elected by the Annual General Meeting. Each provincial Paasikivi Society plans and organises their operations independently, which means that the forms of activity vary. In addition to arraging public events and meetings for members, the organise seminars and visits and engage in publishing. There are more than 3 000 members in the Paasikivi Societies, e.g. leading politicians, government officials, scientists, businessmen and citizens of different groups, representing different political views. The Paasikivi Society has acted as a forum for numerous eminent Finnish and foreign speakers. Many of the speeches given there by Urho Kekkonen, Mauno Koivisto and Martti Ahtisaari, all presidents of the Republic and honorary members of the Society, have subsequently become famous, and a number of foreign statesmen, politicians and experts have been invited to speak at Society meetings. The Paasikivi Society elected at the 50-years Anniversary Meeting 27.11.2008 as the Honorary Members Minister Jaakko Iloniemi and Counsellor of State Harri Holkeri. 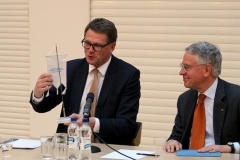 Minister Iloniemi acted as the Chairman of the society during the years 1986-1994 and Councellor of State Holkeri during the years 1995-2000. Paasikivi Society´s Annual Meeting 25.11.2015 elected as an Honorary Member Professor Mikko Viitasalo. Professor Viitasalo acted as The Chairman of the society during the years 2001-2010. 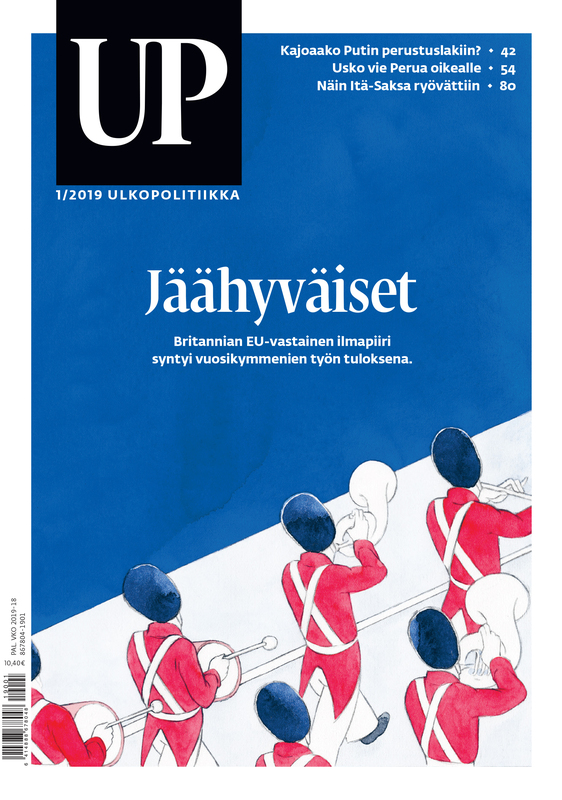 In 1994 the individual Societies set up an umbrella organisation called the Federation of Paasikivi Societies to serve as a link and to stimulate public debate and widespread interest in Finland’s foreign policy. The Federation has sought to create closer contacts than before with business, trade unions, local authorities, the universities and schools. The future foreign policy will, in the Federation’s opinion, above all call for a bridging of the experiences and outlooks of diferent generations. The Societies consider that the name of Presiedent Paasikivi is still a fitting symbol for the new policy, since Paasikivi did, after all, succeed in making Finland avoid the pitfalls of the post-war years and in steering her into untroubled waters, so that Finland could sail full steam ahead. A statesman with his gaze fixed firmly on the future, Paasikivi stressed the importance of navigating according to the realities prevailing at the time. Nowdays, we hear more about what is happening abroad than ever before, yet we still have some difficulty in forming an overall picture of world events. The media may supply us with instant news, but they seldom tell us why something has happened, or what the consequences will be. The international order has changed so much that it has affected the foreign policy status of almost all states. Non-aligned, non-governmental organisations such as the Paasikivi Societies tus face a growing challenge preparing the ground for a free debate on international issues.